Ah, the good old days of the PlayStation Golden Era. When you could sit down, navigate sharp pixels with a clunky, but effective d-pad and the newly added analog controls. 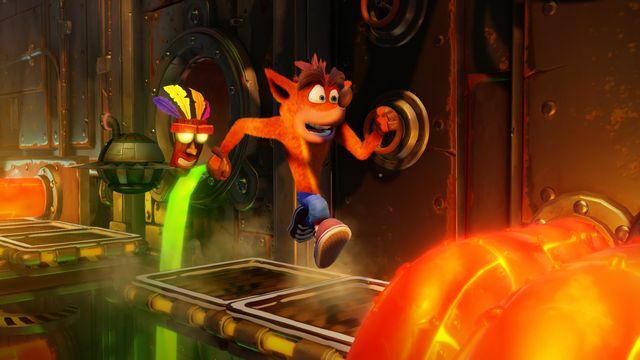 This is where the Crash Bandicoot N. Sane Trilogy starts us off–with the title that didn’t stop short of bringing down the house back in the day. It’s easy enough to look back with fond memories, especially if you’re around my age and were a proper kid when PS1 started slinging out hits. But does the remake stand up to the original? And what exactly did Vicarious Visions do when they slapped on that new coat of paint for the series? It goes without saying (but we will!) on how the graphics are stunning in this remake. To me, the graphical update to each of the games is exactly how my mind’s eye remembers the originals–except they actually DO sparkle and shine this time around. As to be expected, the updates are very consistent through each of the three titles, with faster loading times and brilliant visuals. 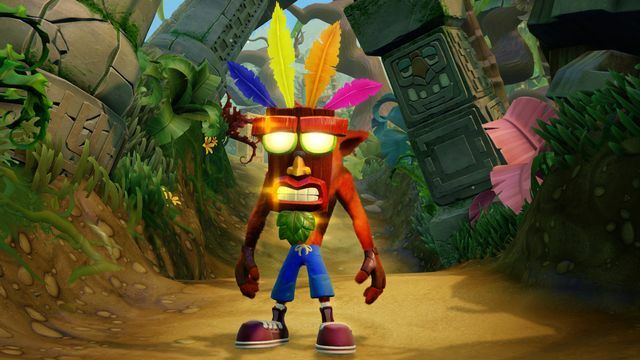 When you look back on the Crash Bandicoot series, do you remember how hard it was? It’s easy to forget about nostalgic games in this sense–every game ‘back then’ seemed to have a difficulty on par with rock solid. As the N. Sane Trilogy successfully remakes the look, it also does so to the feel. Every level is the same, no hair out of place and with that comes the most serious learning curve in a game that I haven’t had since Mega Man 3 sharpened my reflexes to a Miyagi-grade standard. 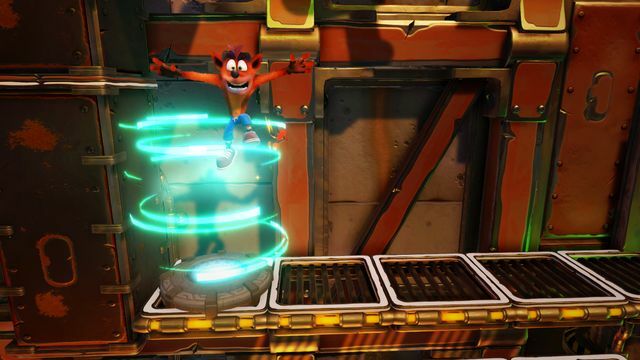 The updated animations are lovely and it’s always so heartwarming to see Crash get tangled up in his yo-yo. You get the same cheeky death animations, some fantastic idling animations and cut scenes are sure to bring a giant smile to the player’s face. Everything has been redone with such care and it really shows. Even the way the TNT boxes hop around now bring me subtle joy. There’s plenty to put the icing on the cake. You can now unlock and play as Coco Bandicoot, Crash’s sister that first appeared in Cortex Strikes Back, but was only playable by the time the series hit Warped. It’s a treat, considering when I was a little girl I would replay the level ‘Orient Express’ over and over just to be her. 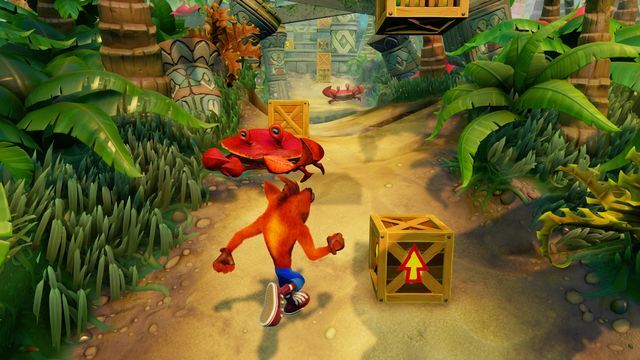 Another great feature is the addition of analog control for the first Crash Bandicoot game. As the first title was made before analog was a thing for the PS1, you don’t have to rely on the d-pad to get Crash around anymore! 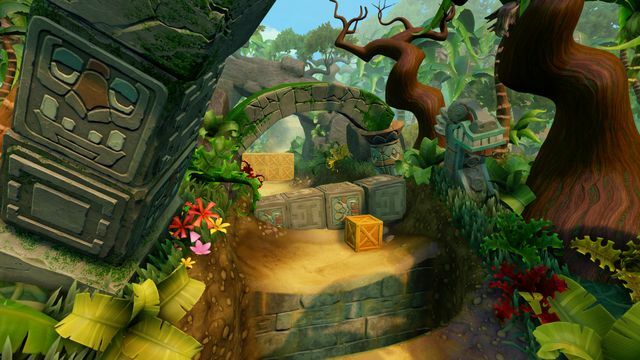 In the way of things added in–you’re also given two new levels to test your Bandicooting abilities. 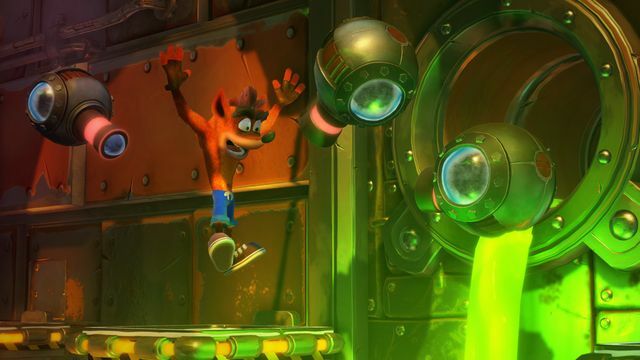 The first one is Stormy Ascent–a notoriously difficult level that was cut out from the first Crash Bandicoot game. This level has been added back with a bonus area, ready for the brave to take on. The other level is Future Tense, which doesn’t make it mandatory to tackle with your unlocked Warped abilities, but HIGHLY suggests it. 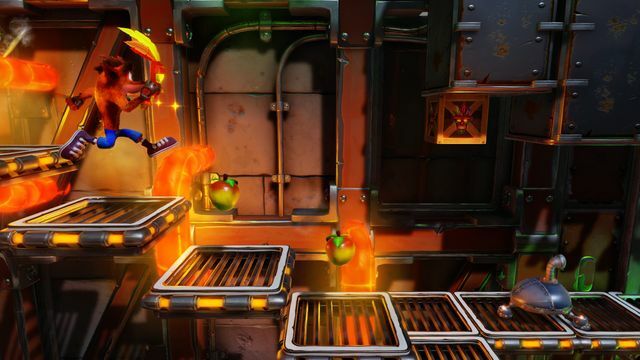 Future Tense was created for the N. Sane Trilogy and is packed with dangerous and difficult twists and turns. It’s a game that we remember fondly and a lot of us PS1 kids (now adults) have a connection with. 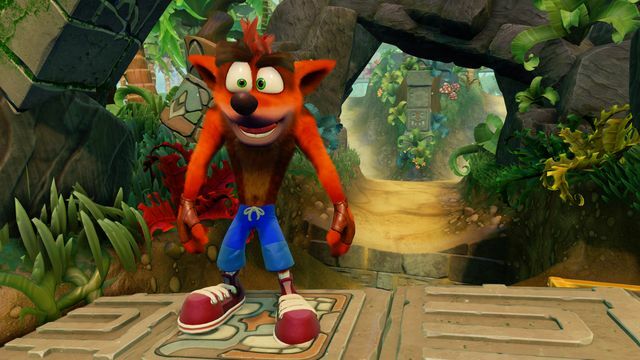 The N. Sane Trilogy is a perfect example of HOW to make a great remake–don’t take the original game out of it and add some great stuff along the way. Not to be fooled though! 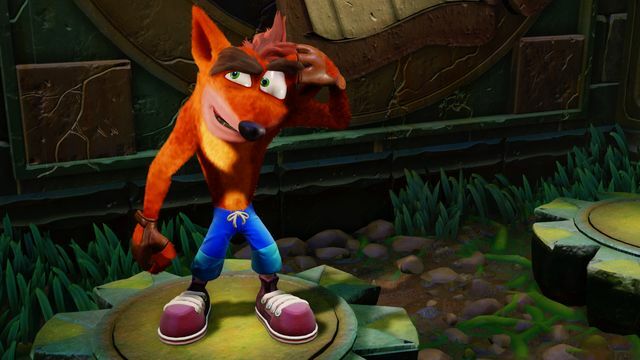 The original Crash Bandicoot games might be great for little ones, but it’s tough and as a casual adult gamer you’ll find yourself becoming frustrated at times quite easily. Still, without a general time limit to the standard levels and big, fun cartoony Bandicoots staring back at you from the screen, it’s fun for everyone to take at their own pace, and replaying the levels is something that even in the original games never felt like it was getting old. 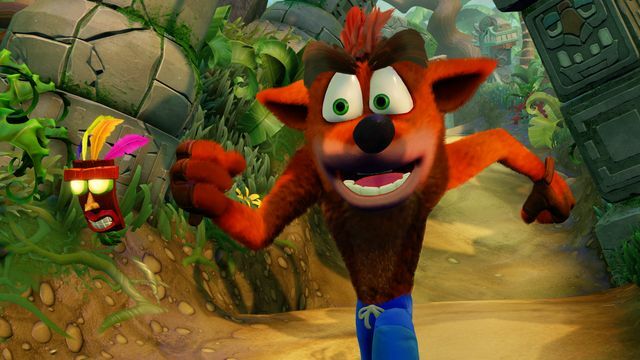 You’ll enjoy this as an adult and will be able to share with any kids of your own–Crash Bandicoot N. Sane Trilogy is a fantastic treat to behold and a crown jewel of a remake. 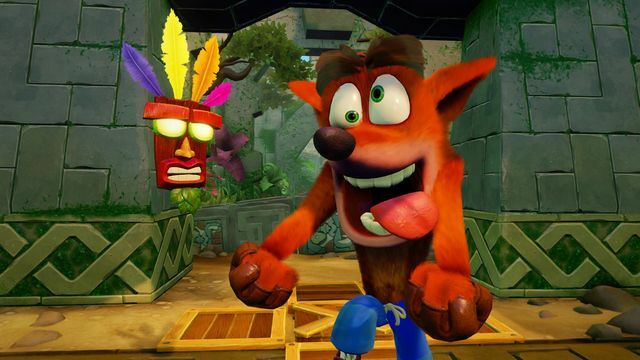 Crash Bandicoot N. Sane Trilogy was reviewed using a digital code supplied by the publisher.